My one-woman play, Sister, premiered in New York City at Dixon Place last week and WOW it feels good! 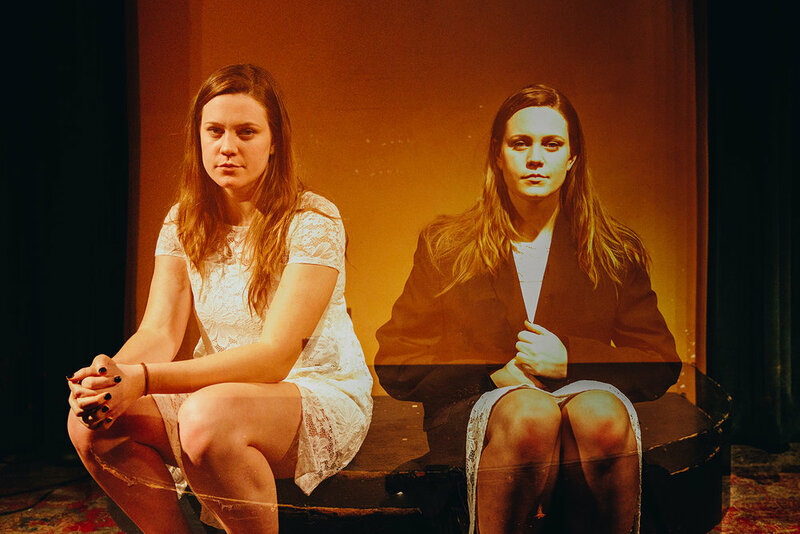 The rehearsal process was short, the subject matter is highly highly personal and vulnerable, and I hadn’t performed a play in over 4 years, so needless to say it was quite intense. There have been times with this project that I have been so paralyzed with fear that I’ve thought I couldn’t go on with it. Even as I was taking a bow I still had doubts. But I stayed with that fear and did it anyway, thank goodness. Very very glad that I did. This is the life of an artist! Idea, manifestation of idea, doubt, risk (performance), brief moment of joy and satisfaction followed by doubt, repeat. On and on. The future of Sister is bright! I’ll be applying for grants to take this show on the road hopefully to another American city and then to the Edinburgh Fringe Festival next August. Thank you to everyone, especially Seonjae Kim, my co-creator, director, and dear friend, for making this happen. I’d also like to thank Talia Feldberg for assistant directing, Lucie Fleming for her very important secret special role that she played, and Walls Trimble for snapping some gorgeous production photos (and my new headshots). What talented, open-hearted, fierce artists! I’m very lucky and very grateful. Onward!